Blackberry has been in the sidelines of the smartphone industry since quite some time now. The company had launched the KEY2 last year. But, unfortunately, the smartphone didn’t turn out to be a success. One of the reasons for that is the intense competition in the price segment. However, Blackberry is trying to turn around things for the device. As My Smart Price reports, “BlackBerry is planning to introduce a new color option for the KEY2 in Europe very soon. The BlackBerry KEY2 Red color variant is expected to look very similar to the “Atomic” Red color variant of the KEY2 LE”. Currently, users only have two color options to choose from. That is, Black and Silver. While a new color variant does sound good, whether it will boost sales is something we are still not sure about. The KEY2 might not be a great phone, but it sports decent power under the hood. On the display we have a 4.5-inch IPS LCD display with an aspect ratio of 3:2. The phone sports a QWERTY-keyboard with a fingerprint scanner built in the spacebar. Apart from that, users get SD 660 SoC, 6GB/128GB RAM/ROM and 12+2 MP/8MP camera. The red color variant will surely give users more variety to choose from. The red color variant is coming out in Europe only as of now. However, it might extend to more countries in the near future. Blackberry hasn’t been much active in the industry lately, but they still haven’t gone dormant. 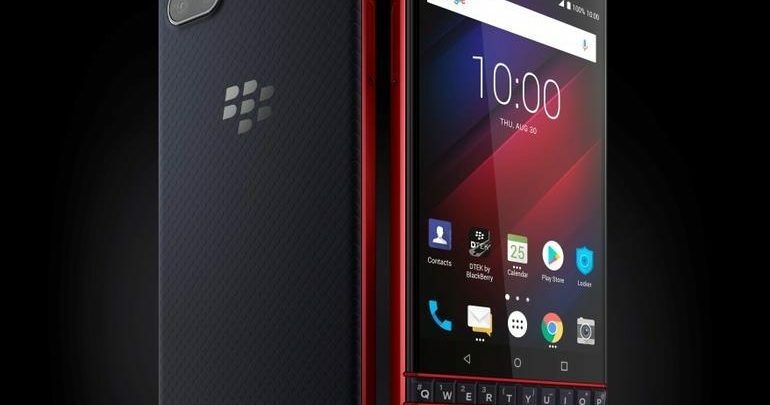 A new variant of the KEY2 is a shining example of the same. Whether this will turn things around for Blackberry is still something pretty far fetched to comment on, although it is still a positive sign.